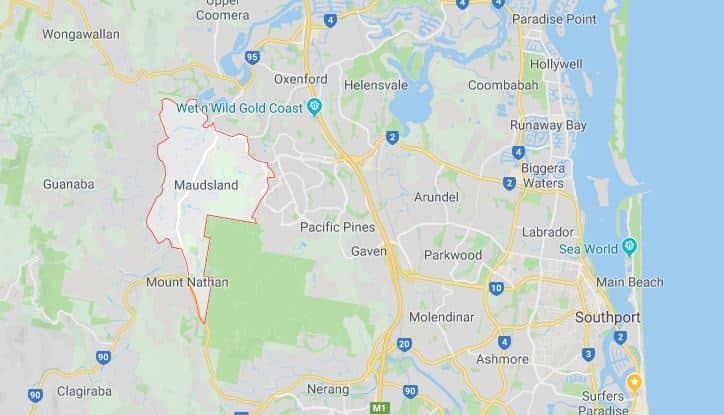 Despite being relatively close to the transmission tower in Mount Tamborine, the level of television signal you get depends on the section of the suburb you live in. Trees and mountains blocking television signals are the most common antenna issues in Maudsland, however there are other issues including incorrectly installed antennas, families running too many televisions in the home and storm damage. Trees and mountains blocking the television signal is a common complaint in Maudsland and unfortunately, we can’t move the trees and the mountains to provide our clients with better signal strength. However, there are two potential options which may provide better signal. The first option is to move the position of the antenna on your roof to a more favourable location. This may only be a slight move, or it could require moving to the opposite end of the house. Home Style Antennas will test the signal strength on various parts of your house to determine the best location. The second option is to install a masthead amplifier. Essentially this amplifier takes in an aerial signal and sends the signal out at a higher level than a standard antenna. Generally, this means you will receive better signal however they can cause issues. Using the wrong masthead amplifier or connecting it incorrectly can make your signal worse. Therefore, you should always use a qualified antenna specialist like Home Style Antennas. We’ll save you time, money and a headache! If your signal issues stems from too many televisions trying to use the one antenna, Home Style Antennas can install a distribution amplifier in your home. This provides better service to more than one television and ensures every TV set shares the signal. Whether you live in a new build or an older home in Maudsland, you may have a faulty antenna. It may either just be old and need replacing, or it could have simply been installed incorrectly when the home was built. We can replace any rusted or old antennas that may be causing signal issues, while those that have been installed incorrectly or need a repair can generally be done so quickly and easily. Storms can cause damage to your antennas including moving them from the way they face in high winds as well as causing sections to break off. If your television signal got worse after a recent storm, call Mantas at Home Style Antennas. We can repair or replace a storm damaged antenna with little fuss. There are plenty of common antenna issues in Maudsland, however at Home Style Antennas our aim is get you back up and running with a great signal quickly and efficiently. Call us today for a free quote.